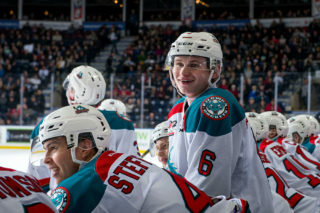 Game Day Preview: The Kelowna Rockets face the Vancouver Giants for the fifth time this season. The Rockets are 0-4-0-0 in the seasonal series, with losses of 5-0, 3-1 and 2-1 and 2-1. Overall, the Giants have out-scored the Rockets 12-3. Nolan Foote (twice) and Kyle Topping are the only goal getters against the G-Men. 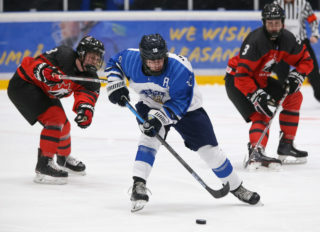 Roman Basran has played in all four games, posting a 0-4-0-0 record with a goals against average of 3.07 and a save percentage of .903. 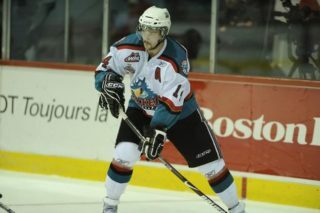 The Rockets close out the month of January with a home game this Wednesday against the visiting Seattle Thunderbirds. Overall, the Rockets are 3-7-1-1 in 12 games since the Christmas break. The Rockets are 15-14-3-1 in 33 games under head coach Adam Foote. Who’s Hot: Kyle Topping has 4+7=11 in his last 11 games…Nolan Foote has 6+6=12 in his last 9 games….Lassi Thomson has 4+3=7 in his last 9 games…The Rockets penalty killing unit is 39 for 49 in their last 11 road games…The Rockets have points in 11 of their last 15 home games (9-4-2-0). Broadcasters Notebook: The Rockets have just 21 games left in the regular season. Of those 21, 13 are against teams in the BC Division….The Rockets are playing three games in three nights. The team is 3-5-0-0 in that situation…..The team will play three games in three nights March 1st, 2nd and 3rd…..The team has been out-shot in 10 of the last 11 games…The Rockets are 5-7-0-0 in 12 games against a US Division team this season. Three of the four wins have come against Tri City with a single victory over Everett and Seattle…The team plays 8 more games against US Division rivals with four games against Spokane, two with Portland and a single against Everett and Seattle.…The Rockets have played 14-one goal games at home this season. 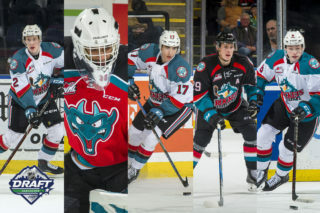 Last year they played 15-one goal games at Prospera Place…The team has played in eight-one goal games on the road….The Rockets have seven birthday’s in January which include Ethan Ernst and Dalton Gally (Jan 26th), Ted Brennan (Jan 28th) and Kaedan Korczak (January 29th)…The Rockets are 7-12-2-1 against BC Division teams this season…Five members of the Kelowna Rockets have made NHL Central Scouting’s latest rankings. Lassi Thomson is rated 14th, Nolan Foote is ranked 26th and Kaedan Korczak is 31st. 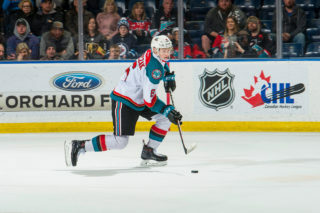 Kyle Topping is 195th while Alex Swetlikoff is 217th, Among goalies, Roman Basran is 11th among North American netminders…..Adam Foote was officially named the new head coach of the Kelowna Rockets on October 23, 2018 replacing Jason Smith.,,The Rockets are 6-11-1-0 when playing the second game of back-to-backs.